Educational Testing Service (ETS), which develops The Praxis Series™ assessments, is currently seeking active educators to serve on the School Psychologist test development standing committee. The Praxis Series™ assessments provide educational tests and other services that states use as part of their teacher licensure and certification process. The purpose of this committees is to advise ETS on developments in the field as well as to be actively involved in the development of the test. Committee members are paid an honorarium to serve on the committee. The honorarium is dependent upon completion of the work requested. Typical work of the committee would be to write approximately 15 multiple-choice items and to review approximately 30 - 50 questions written by other committee members. In addition, committee members would be asked to review 1 - 2 test forms to ensure they adequately measure the knowledge and skills defined by the content domain, to review the Study Companion for the test to make sure the content domain is still relevant, and also to provide consultation concerning specific test questions flagged for review. Most of the work of the committee would be done via email or through a computer site, but the committee may convene virtually on occasion to discuss issues relevant to the field. There may not be much work in one year but more in the next. The amount of work varies but if a committee member is unable to participate in a specific assignment, the committee member will be asked to perform the next assignment. Committee members continue to serve on the committee until rotated off. ETS highly values the contributions of the educational community in the development of its tests. We hope that you are interested in serving in this important role. If you would like to be considered to serve on a committee, please go to the Praxis Test Development Standing Committee Registration and Recruitment Website (www.ets.org/praxiscomm), select the appropriate subject area, and complete the application. ETS selects individuals with the requisite experience and background and ensures that each committee is diverse with respect to gender, race and ethnicity, and state and grade level representation. If you are selected to serve as a standing committee member, ETS will contact you with a formal invitation and the details regarding your role and responsibilities. Please note that not being selected to serve on a committee is no reflection on your expertise and qualifications. It most likely means that all openings matching your profile were filled before ETS received your information. If you are not selected we will keep your information on file and will contact you in the future when a vacancy occurs on a committee for which you are qualified or for other opportunities that may arise. If you are unavailable to serve at this time but are interested in working with us in the future, please let us know. We rotate committee members on a regular basis in order to maximize the number of educators who contribute to the test development process. Would you please share this with the School Psychologists in your state who you feel would be good contributors to the test development process or please apply yourself. We are also seeking educators to work on all Praxis subject tests and would welcome applications from educators in the other subject areas if your colleagues are interested. If you have any questions, please contact me either by phone at 609-683-2163 or via email at dmckee@ets.org. April Program: ALL NEW CONTENT. GET YOUR INSURANCE TRUST DISCOUNT. What: " Sequence VI: Ethics & Risk Management in the Age of the ACA"
Who: Eric A. Harris, Ed.D., J.D. Save the date for the NASP 2016 Annual Convention, held February 10–13, 2016 in New Orleans, LA! Plan to join thousands of school psychologists enhancing their skills, discovering new strategies, and refueling their excitement for the profession. Described as “relevant” and “eye-opening”, this convention is your chance to break from your routine and reinvigorate your practice. You’ll connect with school psychologists from around the country and come away with valuable knowledge about what works in their districts. Locate materials to convince your supervisor to approve your attendance, see registration details, and find deals on hotel room rates and more at www.nasponline.org/NASP16. Cranston Public Schools is looking for a potential long-term substitute school psychologist and/or as needed short-term substitute school psychologist for coverage in the district. You will be required to complete an application, BCI, and have current RIDE certification. 600 Mount Pleasant Avenue, Providence, RI 02908! A panel where educators, clinicians, and parents come together to! Strengthen the link between clinical, community providers and the special education system! Please see flyer for inclusionary and contact information! Psychological Study - Check it out! You have been invited to participate in a research study on the topic of cognitive processes related to learning and behavior. This survey is part of a doctoral dissertation. It will take approximately 30 minutes to complete. Upon completing the survey, you will have the option to enter into a raffle for the chance to win a $20 Amazon gift card. Your responses will be confidential. Your participation in this study is completely voluntary; you may refuse to participate or terminate your participation at any time without penalty. In addition, you have the right skip any questions you do not want to answer. This is an anonymous study; therefore, you will not be required to provide us with your name or other identifying personal information. Thank you for your time and cooperation! If you have any questions, please feel free to email me at meghanga@pcom.edu. Also, please email me if you would like a description of the results after the research is completed. Please note that the first page of the online survey is the consent form. More information about this study is available on that page. If you know any additional school psychologists or interns who would be willing to participate in this research, please forward this email. 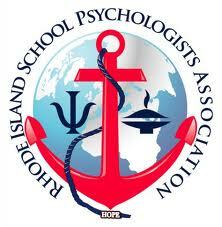 RISPA has always advocated for the recognition of the NCSP credential in RI schools. During a fall conference survey conducted in 2006, psychologists from only 3 districts reported being compensated in any way for having their NCSP. As the financial landscape of education in our state has waned, it has become increasingly more difficult to advocate for the NCSP. Have times changed at all in the past 8 years? RISPA is interested in hearing any related feedback...positive or negative on efforts to have the NCSP recognized in your school district. Education in Finland: Will it work here and how? Also, click on the Washington Post link below for more information that can help you think about both sides. And another article to spark your interest. Post your comments and thoughts here! I would like to pose a question. What does ethics mean to you and how does it guide your everyday interactions? To promote and maintain ethical conduct by school psychologists. To educate school psychologists regarding NASP ethical standards. To protect the well being of school psychologists' clients.